This looks wonderful. Love the big pinwheel blocks. Great fabrics. 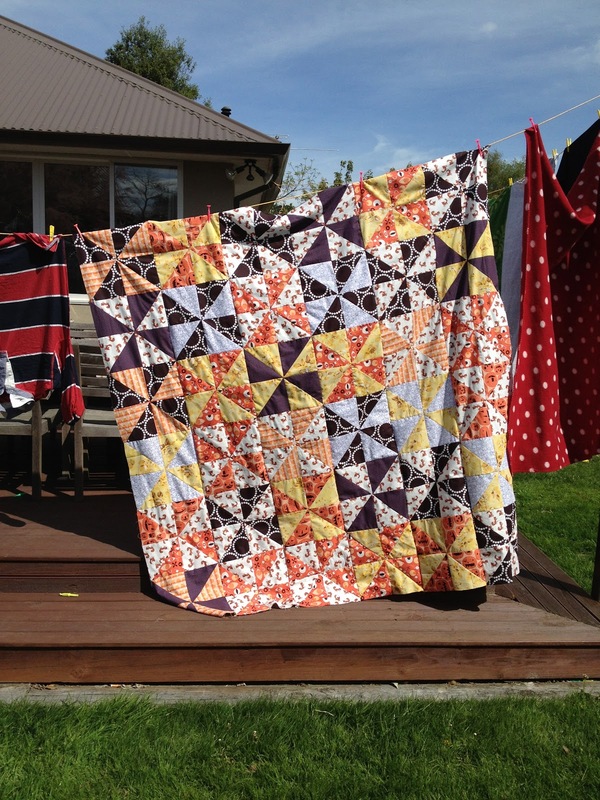 I love this quilt Deb, its gorgeous! My new years res, is to make more quilts! Stunning! Loving the colours in this one, and the black with circles is so striking.